I was privileged to hear this information presented by Geoff Masters in an International Gifted Conference in Queensland. 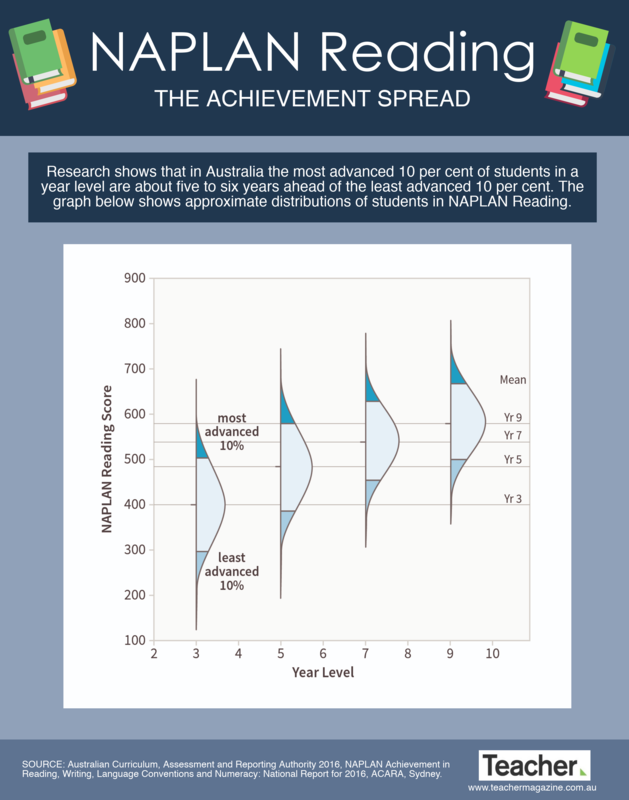 What a wake up call for teachers of those top 10% of students in Year 5 with the demonstrated ability of above Year 9 average. Let’s hope that these students have a teacher who has the support of leaders who understand best practice gifted education pedagogies. Of course, if they’ve never been to a conference or attempted any readings, they possibly believe that the information above is some sort of deception. Alternatively, they may believe/wish that they work in a school where the best students they have are the bottom 90% in each year level.